EZplayer Pro, Other Music Software from Toontrack. 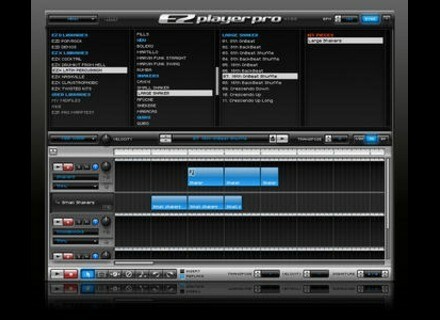 Toontrack Music releases EZplayer pro, the long awaited follow-up to the popular percussive MIDI engine EZplayer Free. EZplayer pro is a VST, AU and RTAS plug in for Mac and PC with extended Map Wrapping capabilities between major drum sampler formats in the market. (FXpansion's BFD 1&2, Digidesign's Strike, NIs Battery, EZdrummer and Superior Drummer in addition to others). The new multi track MIDI clip arranger offers time stretching, editing and multi layer arranging of MIDI files. 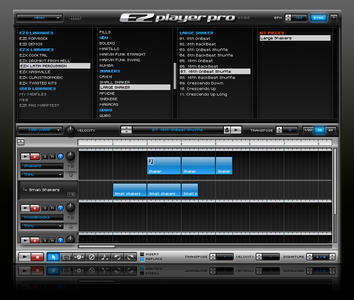 EZplayer pro also has hardware learn features enabling live triggering of MIDI arrangements. The MIDI content in EZplayer pro is recorded by drummers David "Fingers" Haynes and Per Mikaelsson. For the price of $49 EZplayer pro is available through the Toontrack Music web shop as well as through Toontrack Music distributors and dealers. EZplayer pro will also be included as the MIDI engine in the upcoming Toontrack sampler Superior Drummer 2.0. To check out feature list, video demo and general product information click here. For more information, visit their web site at www.toontrack.com. G-sonique XBass4000 Released G-Sonique has released the XBass4000, a new VST effect plug-in for maximal kick-up of the bass frequencies.